Energy efficient appliance for your VoIP and UC needs Use our energy efficient Telephony Appliance to run your IP-PBX system. 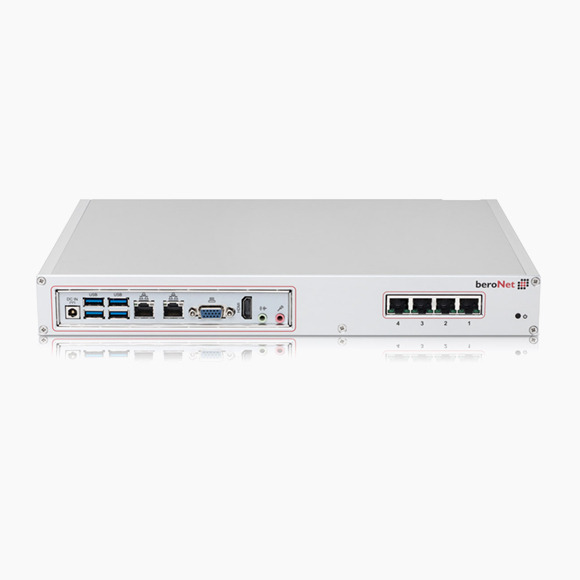 Powered by fewer than 25 Watts, the Appliance offers you the opportunity to house your IP-PBX and VoIP Gateway in one device. 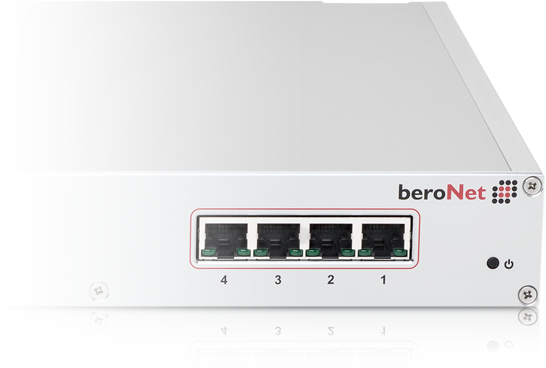 With no moving parts, the beroNet Telephony Appliance is designed to run 24/7, without interruption. 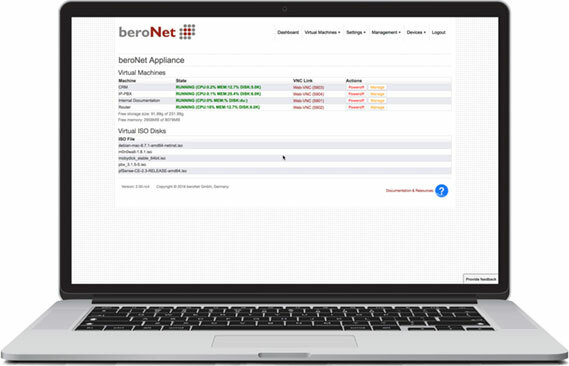 Each beroNet Appliance comes with the beroNet Hypervisor, allowing multiple operating systems to run on the device at the same time. 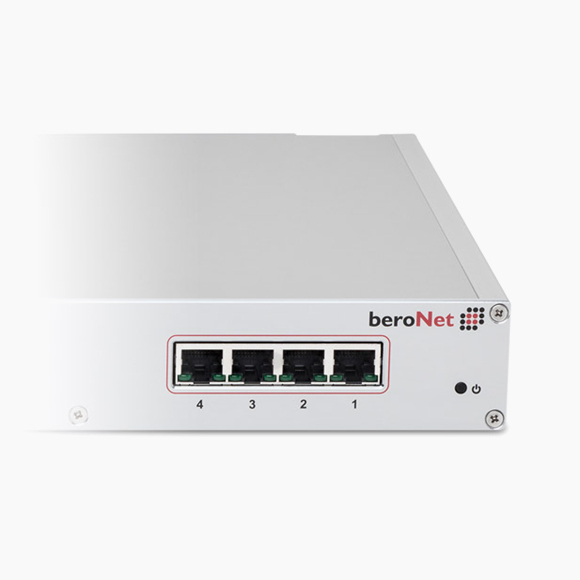 This creates the opportunity for the beroNet Telephony Appliance to function as the communications hub of an organization, with the ability to hold systems such as an IP-PBX, router and CRM. 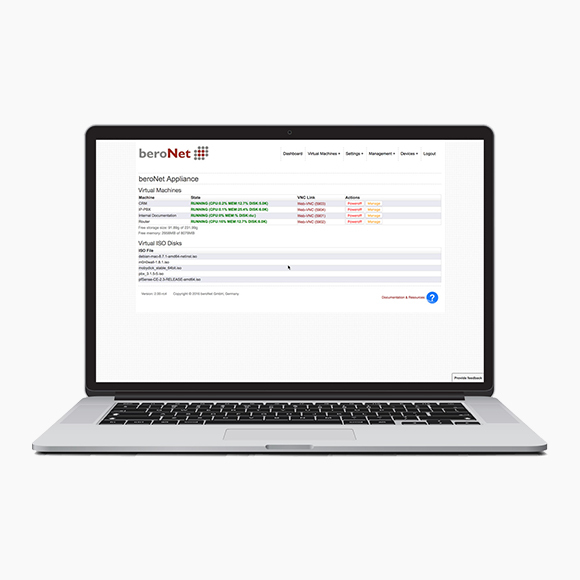 When using the beroNet Hypervisor, you can register your device in the beroNet Cloud for remote management and monitoring of your virtual machines.